Spinal cord injuries have the uncanny ability to change the direction of our lives in an instant, and while this abrupt life-shift carries with it a host of new challenges, Justin Pines, a T6 paraplegic from Denver, Colorado, has decided to approach his new life with hope and a boundless spirit of possibility. “There’s a good God and a purposeful story ahead,” he says. On April 9, 2016, Justin entered the world of paralysis when he hit a tree in the woods of Squaw Valley, a ski resort in Tahoe, California. Remarkably, within an hour of his injury, he was introduced to an organization that was set to change the direction of his life – the High Fives Foundation. After his surgery and acute care at Reno’s Renown Hospital, Justin was sent via medical jet to world-renowned Craig Hospital for his inpatient rehabilitation. Through Craig’s celebrated Therapeutic Recreation program, Justin was introduced to sports right away – from hand cycling and swimming to archery, fly fishing and adaptive rock climbing. 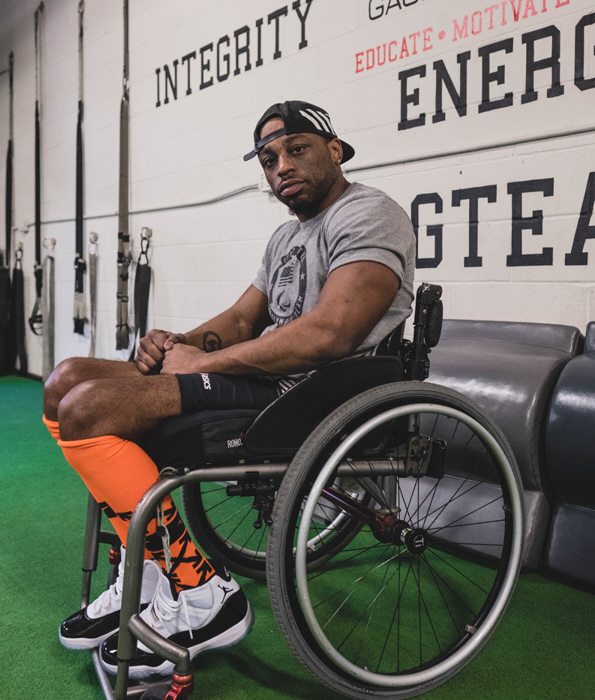 By the close of his 5 weeks of rehabilitation, Justin had learned the basics of independent living and was able to move into his own apartment in south Denver, opting to relocate rather than move back to his 3rd floor walk up apartment in Brooklyn, NY. 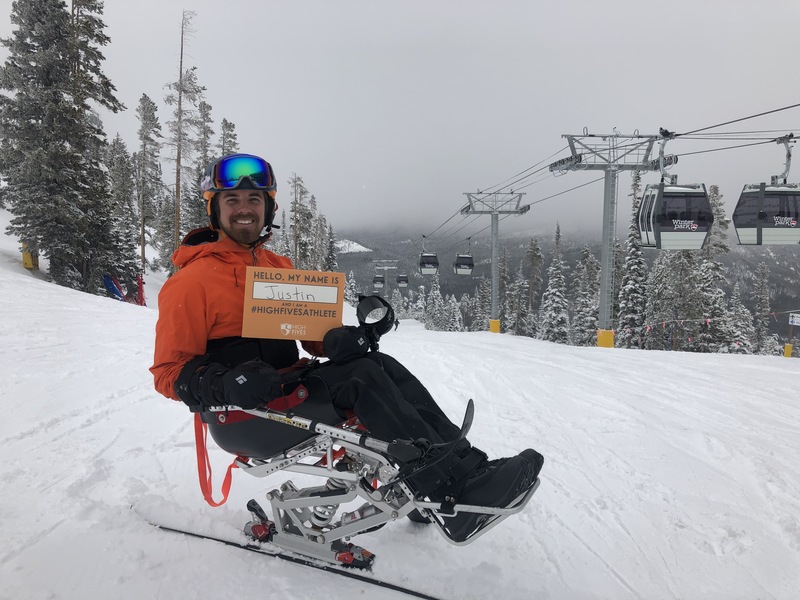 When he’s not working, skiing or training in his hand-cycle or racing chair, Justin enjoys devoting time as an ambassador and organizer for the High Fives Organization. This month he hosted the first ever High Fives Community Meet Up at Denver’s Punch Bowl Social – providing a new means for individuals with SCI to connect & build community. “The goal of these meetups is to provide fairly frequent, low-cost, replicable opportunities to bring together like-minded people who seek community in pursuing sport post-injury and want to live an active lifestyle.” Excitingly, High Fives plans to expand this meet up model to many more cities around the country, so look for one near you soon! This entry was posted in Uncategorized on March 6, 2019 by Tiffiny.